Ken Hancock to Sign “Capital Home Cookbook” and Roy Mayer to Sign “Galahad Cried” on Saturday, December 1st! Come down to the bookstore to enjoy two great book signing events. Our day kicks off with local author Ken Hancock, who will be here signing his newest book, Capital Home Cookbook, as well as some of his great backlist titles. If you haven’t already go them, come pick up copies of Ken’s novel Sweets Off Coupons or his great humour books Laughter From the Web. He will be here signing on Saturday, December 1 from 11:00am to 1:00pm. 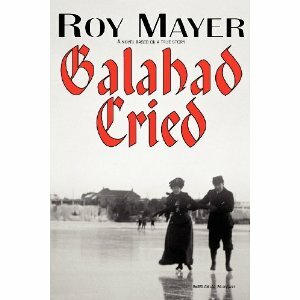 Hot on his heels will be Roy Mayer, a local author who has just written a novel called Galahad Cried. It is based on the true story of Bert Harper, a country boy who became a close friend of then future Prime Minister, William Lyon Mackenzie King. Bert is also the man in whose honour the statue of Galahad in from of Parliament Hill was erected. Come down to meet Roy Mayer and hear all about Bert’s fascinating story. Roy will be here signing on Saturday, December 1 from 1:00pm to 3:00pm. We look forward to seeing you all on Saturday!! Come meet local author Stevie Mikayne on Saturday, November 24. 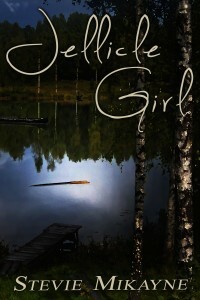 She will be here from 1:00pm to 3:00pm signing copies of her new book Jellicle Girl. Stevie Mikayne writes literary fiction with an edge. She holds an M.A. in Creative Writing from Lancaster University (UK) and dreams of one day living in England. Recently, she joined the editing team at Evolved Publishing – where she enjoys the Facebook chatting almost as much as the work. This is her debut novel. Miriam Clavir will be in the store signing copies of her new mystery novel, Insinuendo: Murder in the Museum. Come down between 1:00pm and 3:00pm to meet her, have a chat, buy a book, and get it signed. You may even be able to cross someone off your Christmas shopping list while you’re at it! 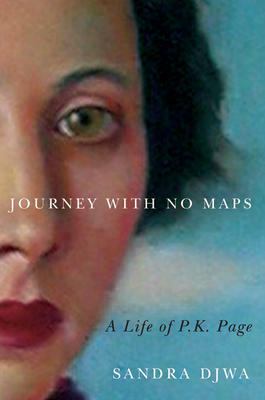 There are few new ways to praise the books by this author: witty, gentle, Scottish, loveable. The new one is all of these with the added dimension of a first-rate mystery plot. 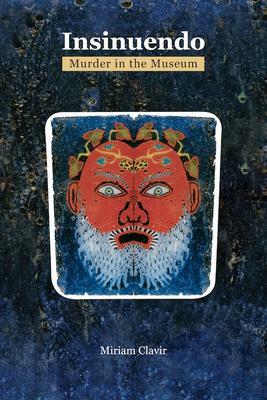 The book falls in the Isabel Dalhousie series. 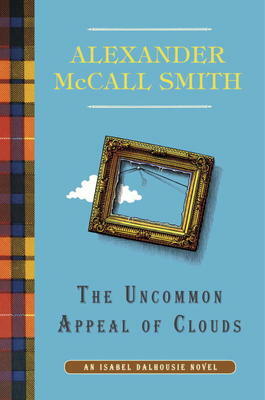 McCall Smith is a retired professor at the University of Edinburgh. Readers will recognize books from the No l. Ladies’ Detective Agency series, the Portuguese Irregular Verbs series, the 44 Scotland Street series and the Corduroy Mansions series. In this one, we follow Isabel, the attractive young mother, as she edits her journal on ethics, cares for her musician husband and 3-year old son, Charlie. Into this busy life steps a request to help find the thief who stole a valuable Poussin painting from an old Scots household. Isabel gets close to danger when she agrees to meet “accomplices of the thief.” Through clever questioning on her own, however, she manages to avoid serious trouble with the police, etc. We are left with a satisfactory ending that only McCall Smith could dream up. It makes for a very good read, Christmas-time, or any time. UNICEF Holiday Cards are available now! We just received a dozen different designs of UNICEF holiday cards. Each one comes in a box, with envelopes. 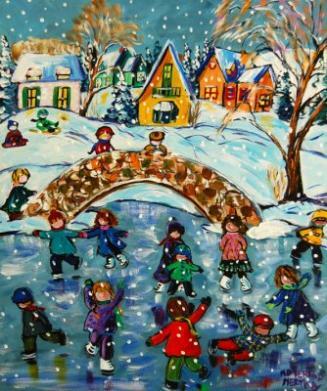 The card shown here is “Gather Around the Frozen River” by Katerina Martikas. You can see more of her work at the Koyman Galleries in Ottawa. 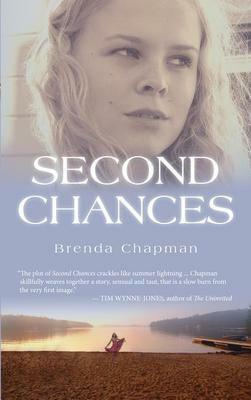 Come visit Books on Beechwood on Saturday, November 10 to meet local mystery and young adult author Brenda Chapman. She will be here signing copies of her new young adult book Second Chances from 1:00pm to 3:00pm. “It’s the summer of 1971, and fifteen-year-old Darlene travels with her mother to cottage country. This year her wild cousin, Elizabeth, is staying with them in the hopes that time away from Toronto with straighten her out – but Elizabeth has other plans. It’s her mission to torment Darlene by manipulating her friends and seducing every eligible male in her path. Be sure to come into the store for this fabulous event. We look forward to seeing you all here! 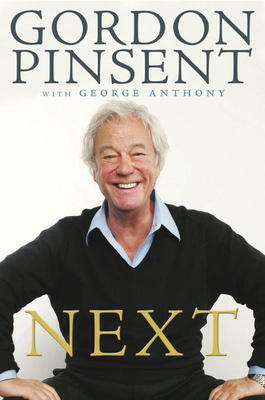 This is a delightful and skilful memoir of Gordon Pinsent, one of Canada’s best-loved actors, written with the help of George Anthony, an entertainment editor who has worked in film, television and journalism. Together they have produced a very funny and impressive story of Pinsent’s life who today, at the age of eighty-two, is still in the business of acting. Born in Grand Falls, Newfoundland, Pinsent was the last of six children, and was very often left to make up his own dream world. After he discovered movies at the weekly matinees of the Nickelodeon Theatre, he decided to be an actor. He was already good at sketching, and later poetry, but never had an acting lesson – which did not stop him from working his way to Toronto, doing odd jobs, later a stint in the army from which he was discharged in Winnipeg. Here he met the actor John Hirsch, got some parts, and was on his way. Pinsent tells of his adventures in Hollywood, his encounter with Christopher Plummer at Stratford, and eventually the whole roster of Canadian actors. Most significant of these was the Toronto star, Charmion King, who became the love of his life. They were happily married for forty years until her death in 2007. Pinsent has played major classical roles across the country on both televison and film and is remembered for The Thomas Crown Affair (1968), The Shipping News (2001), The Rowdyman (1972) and John and the Missus (1987). He won a Genie award for best actor in Away from Her (2006) and recently made his songwriting debut on the Warner Music CD Down and Out in Upalong. This book is almost as entertaining as watching him act. Join Books on Beechwood and cookbook author, Naomi Duguid at The Scone Witch, 35 Beechwood Avenue, on Monday, November 5 from 5:00pm to 7:00pm. 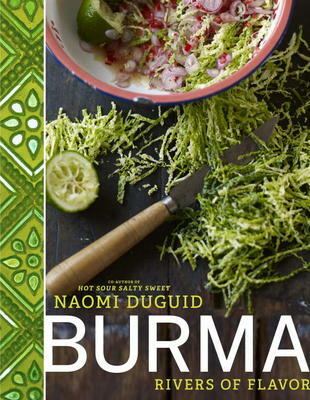 Her new cookbook, Burma: Rivers of Flavor, is filled with recipes and tales of travel from the author. The $12 admission fee covers a scone dinner, dessert, and coffee or tea. (Fees to be paid at the door at The Scone Witch.) Admission is limited to 25 people. Please phone Books on Beechwood to reserve a seat, 613-742-5030.